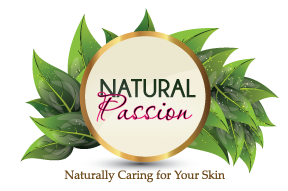 Thank you so much for your interest in Natural Passion Wholesale. We are truly committed to assisting individuals make positive steps towards healing; therefore, prices are economically set to ensure everyone has equal access to personal healing and growth. Healing is not just for those who can afford it; it’s for everyone. There is $150 minimum. You can mix and match all items; NO MINIMUM PER PIECE. We ask that you specify the quantity/variety wanted of each item selected. Ordering is available via online, phone, and email. Phone and email orders carry a $5 surcharge. We accept orders domestic & international orders. In order to view wholesale pricing, you must create an online wholesale account. Go to "My Account" at the top of the page. Next, click "Create Account" under New Customers. Register yourself or business and under "Account Type" select, "Wholesale." Once you complete your registration, you will be able to view wholesale pricing and order products directly online. A special service is available to customers who would like to design their own product. All custom orders are subject to quantity minimums.